• Can you imagine what it might have been like back in 1902 when automobiles were coming of age and highways weren’t even a thought. Dirt roads were the way to travel since the horse and buggy were the means of transportation until the invention of the motor car. The way to stay warm was to wear layers of clothing, and thank goodness for long dresses back in those days, otherwise must have been to drive without hypothermia would set in. them. Here is a woman whose invention is still in place today, and without it, seeing in inclement weather would granted every time we turn on our be difficult. Today we take it for windshield wipers. 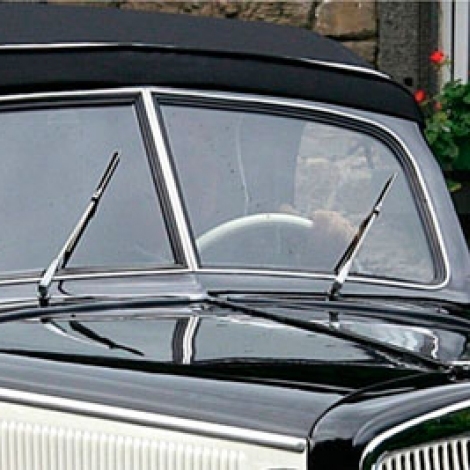 Back in the day until 1927, vehicles were what they called open cars, because they were completely open except for the windshield. Here is lady who took a bad because they could not see through situation and turned it into a life long the windshield. Upon returning to invention. I begin my series of Women Inventors with the Windshield Wiper. Here is a short version of her invention. The photograph is a copy of the original draw- ing for the patent submitted. • Born in Greene County, Alabama, Mary Anderson was a real estate developer by trade. However, on a business trip to New York in 1902 she noticed that during sleet storms trolley car operators drove with their heads poking out the side window Here is lady who took a bad because they could not see through situation and turned it into a life long the windshield. Upon returning to Alabama she invented a device consisting of a lever with a rubber blade attached that could be cranked from within the vehicle. Anderson was only granted a 17-year patent on the invention, meaning her rights to it expired before the mass production in the automotive industry began. As a result, she received little in the way of royalties from her invention. 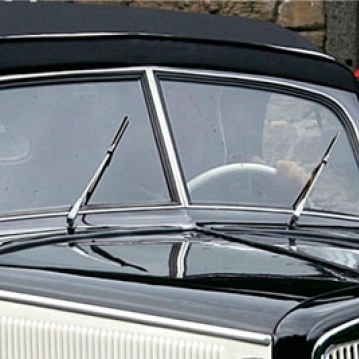 Even today, windshield wipers operate on the same basic design that Anderson created.